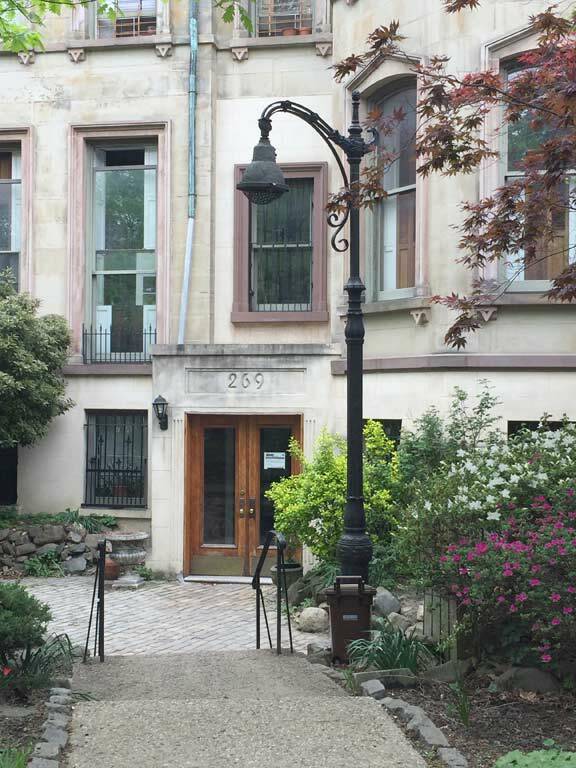 The owner of 269 Clinton Avenue, near DeKalb Avenue in Brooklyn’s historic Clinton Hill, has for several years displayed a hybrid Type E-Type F lamppost on the walkway. 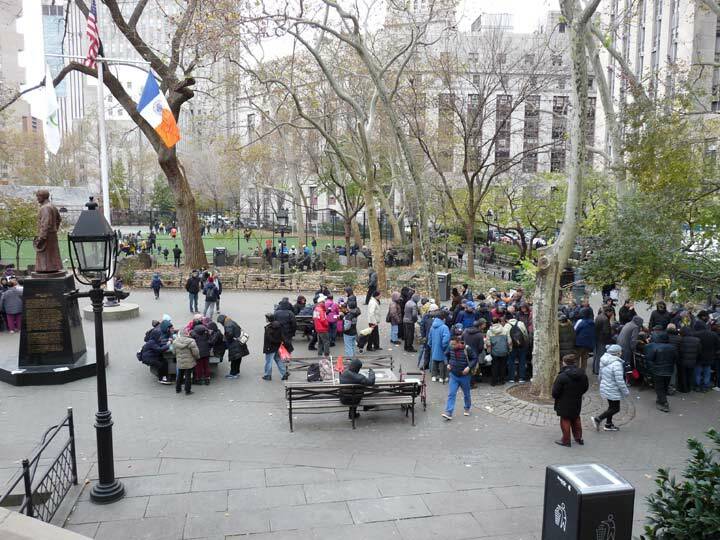 Formerly, Type F lamps dominated side streets in Manhattan and some in the other boroughs from the 1910s into the 1950s, when they were mostly supplanted by modern octagonal-shafted aluminum posts. This post combines a Type F mast attached to a Type E post. Both are among a series of lampposts named by alphabet seen mostly on side streets and in parks that includes the near-universal park post the Type B.